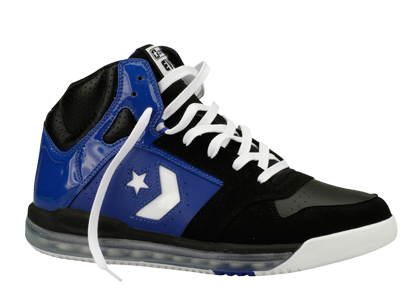 Below is the Converse All American in a Royal/Black colorway. I'm guessing this colorway was canceled in America, which seems to be the norm these days. I think it's pretty hard to sell basketball shoes when you don't really offer any for people to buy, but I guess I am crazy for that type of thinking. Big up to Aaron Johnson for sending me this my way, as it looks like these are actually avaliable in Mexico. So if you're a real fan of this colorway you'll have to go hunting south of the boarder.